As the Peoples Democratic Party (PDP) gears for the governorship primary slated for April, 2018, prominent aspirants under the party have appealed to the National Chairman of the party, Chief Uche Secondus to conduct free and fair primary election in the state. The aspirants, including Senator representing Ekiti South, Mrs Biodun Olujimi, former Minister of Works, Prince Adedayo Adeyeye, former Ambassador to Canada, Amb. Dare Bejide and immediate past commissioner for Justice, Mr Owoseeni Ajayi, said the party stands the risk of losing Ekiti if Governor Ayodele Fayose is allowed to subvert the party’s constitution and impose his anointed candidate. For credible primary to be attainable, the aggrieved aspirants called for the dissolution of the state Working Committee(SWC), led by Gboyega Oguntuase and set up a caretaker committee to conduct the primary. 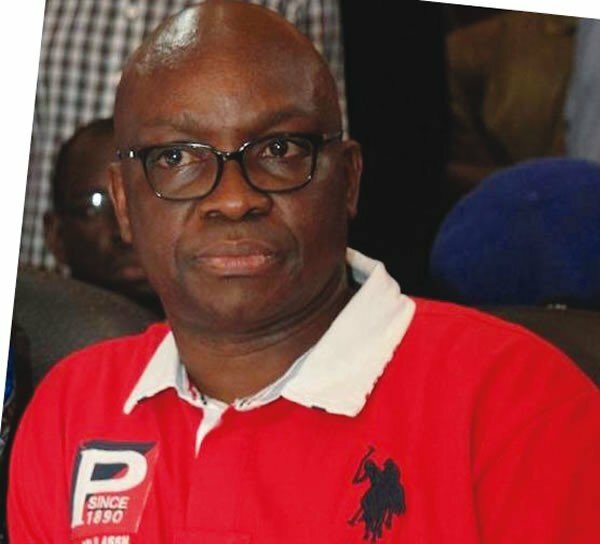 Fayose has anointed his deputy, Prof. Kolapo Olusola as the sole candidate of the party, which is causing serious crisis within the party. At a press conference jointly addressed by the aspirants in Ado Ekiti on Tuesday, the aspirants in their prayers, said : “they reject without reservation the adoption of Prof Olusola as the sole candidate of the for the July 14 governorship election”. The text of the speech read by Adeyeye called on the National Chairman of the party to exclude Fayose and the State Chairman of the party, Gboyega Oguntuase from partaking in the conduct of the primary, saying the “duo have already compromised, they have taken positions and cannot be fair to all the aspirants”. They demanded further: “The State Working Committee (SWC) having betrayed its expected neutrality role, should be disqualified in the process leading to the gubernatorial primary in April . We demand for a caretaker committee to replace them for the state. arbitrary and illegal use of state apparatus like radio and television stations to subvert the truth must stop”, they said. Answering questions on why they fell out with Fayose, Adeyeye advised Secondus to act fast and checkmate Fayose to prevent the calamity that befell PDP in Ondo from playing out in Ekiti. Olujimi, who is representing Ekti South at the Senate added : “whoever says we are politicians that can be wished away will have himself to blame, the result will be grievous. “We don’t want to lose Ekiti but Governor Fayose is messing up the whole process. It was because people like us worked hard in 2014 that made the 16-0 possible for PDP. “Prof Olusola was only a beneficiary of our sweat , he didn’t contribute anything and now he wants to be adopted against the party’s constitution, this we will not accept”, she vowed. Owoseeni and Bejide , who cited Section 50(1) ( 2) and 50(2b) of the PDP constitution, clarified that the governor and the SWC has no role. whatsoever to play in the conduct of primary, saying, “allowing the governor to have his way in a crude manner may spell doom for the party”.